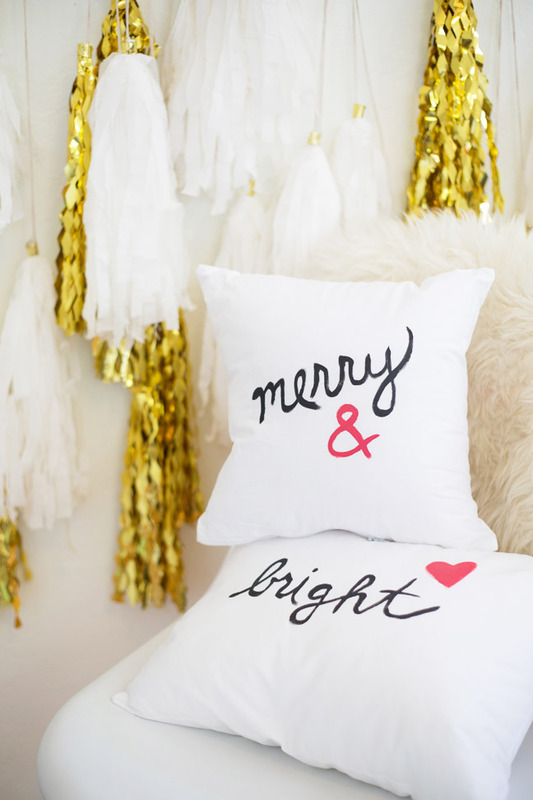 Pottery Barn has a totally awesome selection of holiday throw pillows, but the bummer is I don’t have a Pottery Barn in my ‘hood. What’s a DIYer to do? 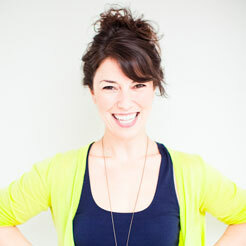 Get inspired and make something, of course! 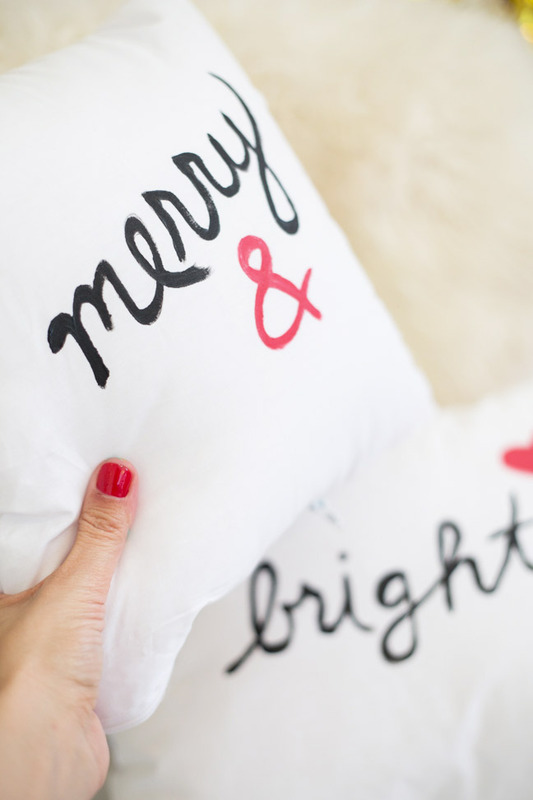 Step 1: Start with a clean, dry throw pillow or throw pillow cover. You can take it off to paint it if you like; I prefer to leave mine on the pillow form to get an idea of what it will look like when it’s stuffed. 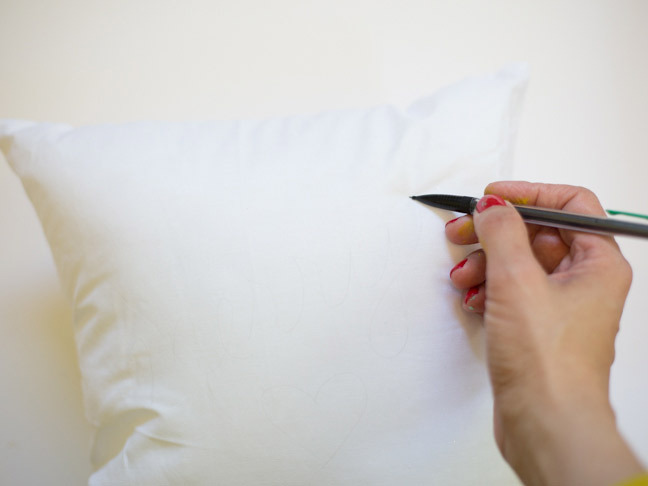 Step 2: With a pencil, lightly trace your design on the pillow cover. 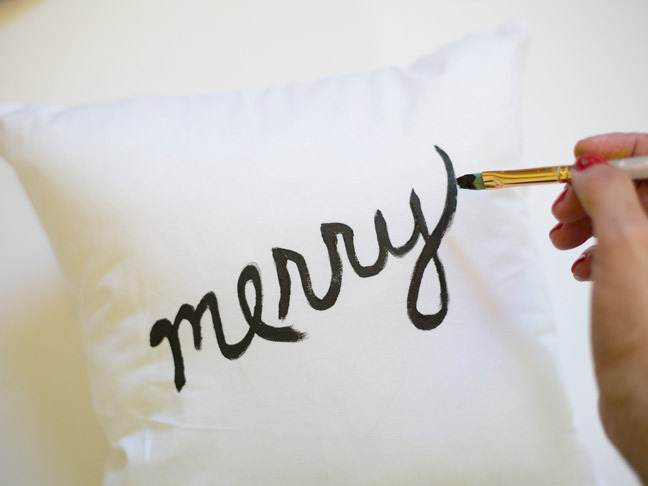 Step 3: Dip your paintbrush into some fabric paint and carefully start going over your pencil outline with paint. 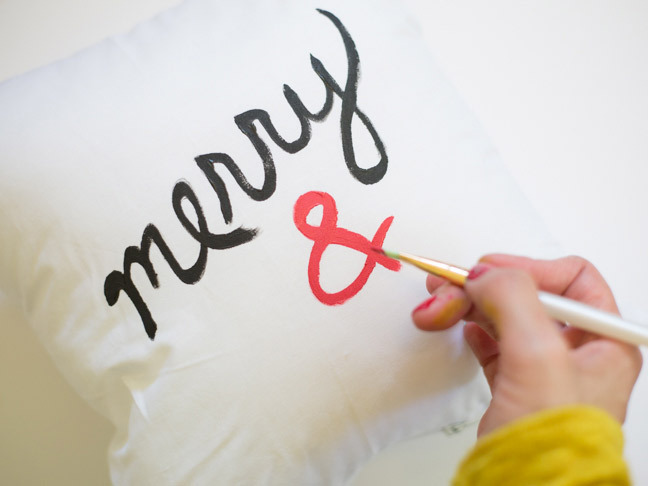 Go slowly and add paint gradually to avoid clumping or mistakes. Start with the part of the design that’s highest on the pillow so that as you work your way down you don’t smear your work. 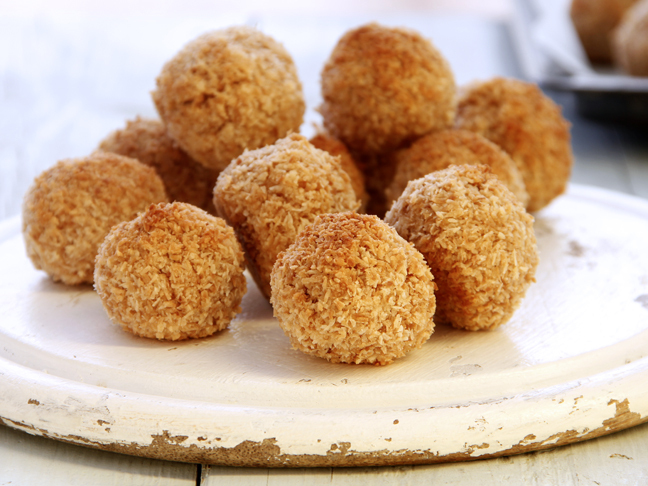 Step 4: Complete your design with any other little bells and whistles! 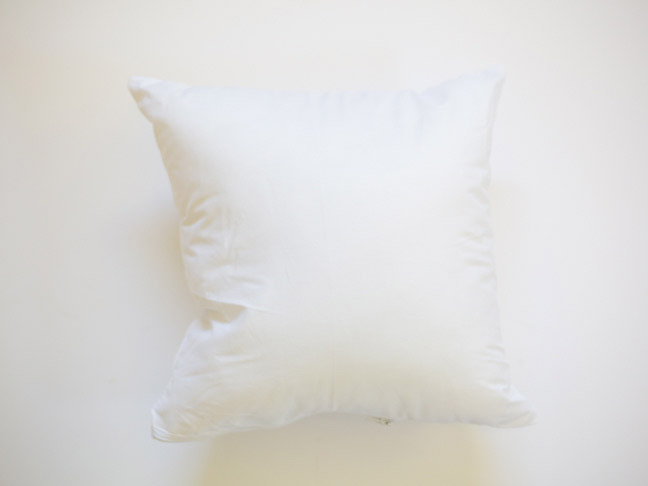 Step 5: Repeat the process with any other accompanying pillows if you’re making a set. 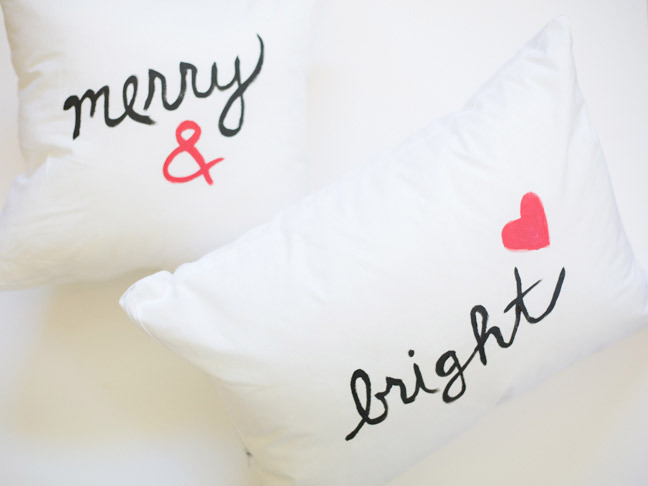 I love the idea of pillows that go together, like this “Merry” and “Bright” set! Step 6: Allow the paint to dry completely according to the packaging. If you wish, wash the pillow cases before using. 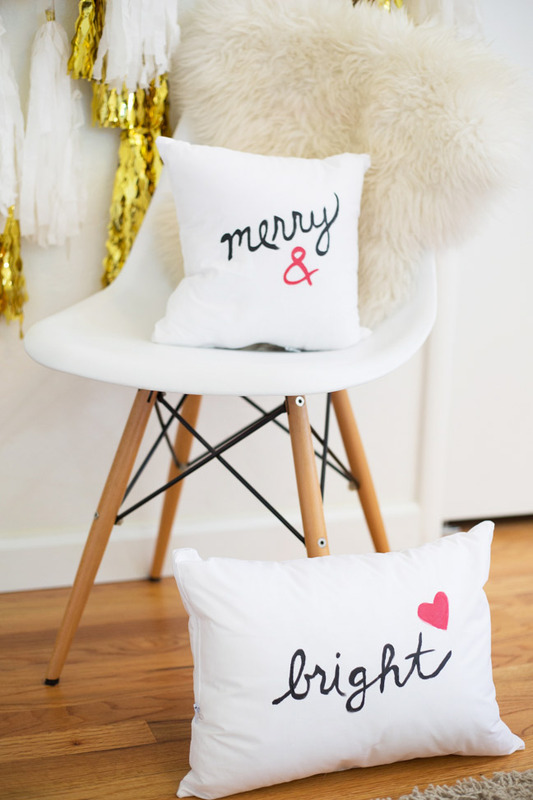 Set them out on your couch for the holidays and be extra merry!